Dr. Michael D Fox, MD is a Doctor primarily located in Jacksonville, FL. He has 32 years of experience. His specialties include Reproductive Endocrinology and Infertility and Obstetrics and Gynecology. He speaks English. Dr. Fox has received 1 award. The overall average patient rating of Dr. Michael D Fox is Great. Dr. Michael D Fox has been rated by 30 patients. From those 30 patients 14 of those left a comment along with their rating. The overall rating for Dr. Michael D Fox is 3.5 of 5.0 stars. 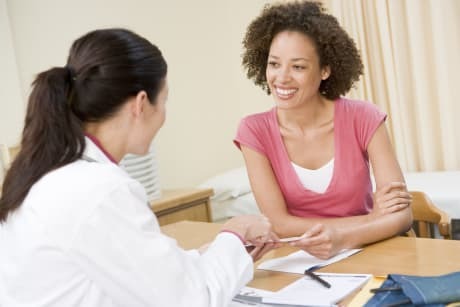 I can't speak to repro, but if you're going to him for gyn, run, don't walk, for a second opinion to another doctor - ESPECIALLY if he diagnoses inguinal hernias. I found out afterwards that he's known by his peers for overdiagnosing those and consequently doing mesh surgery with a general surgeon unnecessarily. He clearly has too many patients. All of my appointments were either rescheduled, he would show up late or not at all. Whenever I had to have a procedure done at his office, the nurses always made me feel like it was an inconvenience to schedule me. Be prepared to be pushed around by his nurses and be told to quit eating sugar. I just never felt like he cared about my infertility. I would strongly recommend not seeing this doctor. I went there for memory issues since my insurance had him listed as a psychiatrist in their database of doctors. After waiting an hour or so for him, I was beginning to get the idea he might specialize in drugs. When I met with him, I let him know what I was looking for but instead had his own agenda. I told him I have one glass of wine per week on Friday evening after he asked me my alcohol history. There is not one person who ever thought I have a drinking issue in my life. No sane person could make that conclusion. I was given a cup for pee at the end of the appointment. I assumed this is for a standard Urine Analysis. It turns out it wasn't for a Urine Analysis as it was for a drug test. I know I haven't taken drugs and should have been told what it was. Apparently he runs his practice with no trust for his patients. Maybe for drug treatment programs that is necessary, but not for general practice. I called his office for the Urine Analysis results a few days later and was told that wasn't the test I was getting. I was getting a drug test. I was livid. I called the doctor about this unethical behavior and he believes that he is not under any obligation to inform patients and get their consent for tests. On the call he was definitely less of a gentleman than I would expect from a medical professional. He prescribed medications that are the best medications for a drug addict and not necessarily the best medications for my situation. After talking to a different doctor, I learned that. Maybe he is a good drug rehab doctor, but he is definitely not good for anyone that is not a drug addict in my opinion. Highly satisfied and would absolutely trust him for anything in the future. Dr. Fox was born in Atlanta, Georgia and raised in Jacksonville, Florida where he attended The Bolles School. After graduation from Auburn University, he received his medical degree from the University of Alabama at Birmingham in 1987. After completing one-year internship in Internal Medicine at the University of South Alabama in Mobile, he transferred to the University of Mississippi for an Obstetrics and Gynecology residency. After completing his residency in 1992, Dr. Fox was awarded a two-year fellowship in Reproductive Endocrinology and Infertility at the University of Kentucky in Lexington. Dr. Fox has received many awards and scholastic accolades during his educational training. 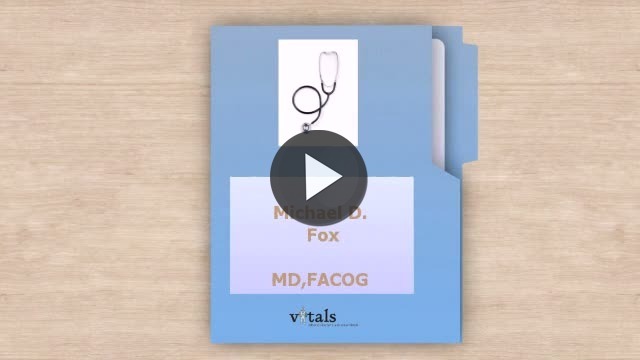 Take a minute to learn about Dr. Michael D Fox, MD - Reproductive Endocrinology and Infertility in Jacksonville, FL, in this video. Dr. Michael D Fox is similar to the following 4 Doctors near Jacksonville, FL. Have you had a recent visit with Dr. Michael D Fox? Select a star to let us know how it was.